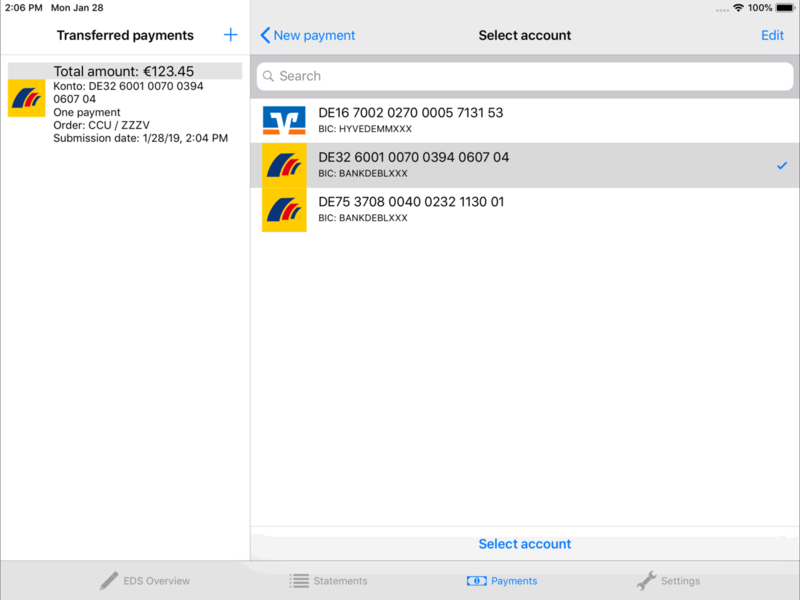 With the new version of the app for iPhone and iPad, payments can now be generated and sent to the bank. 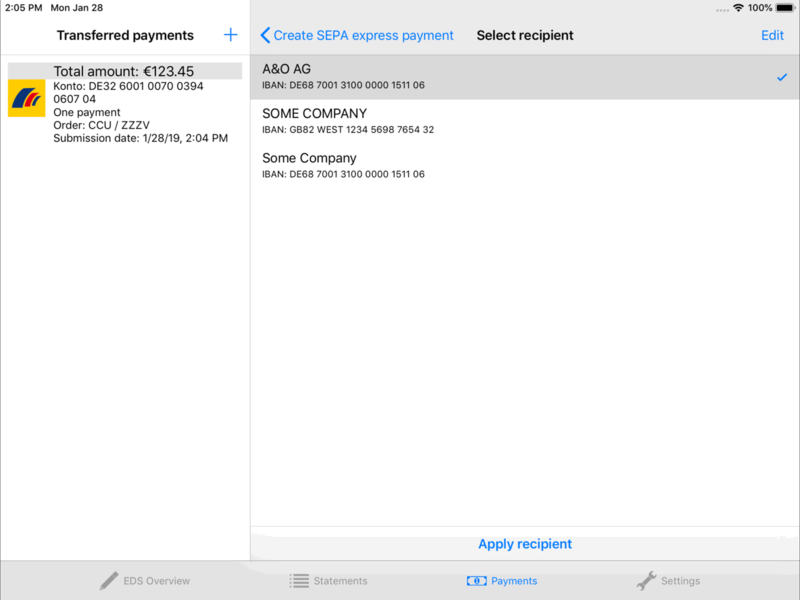 In addition to classic SEPA transfers, BL Banking for iOS also allows recording express transfers as well as real-time transfers via SCT Inst collections (CIP). For the best possible support of a simple entry of transfer data, the app uses different approaches for the individual payment details. For example, the data stored at the bank for IBAN and the originator name is identified automatically (HTD). This data can be adapted or extended via the integrated originator administration. Once recipient data has been entered, it is also available as a selection for subsequent payments. For this purpose, the program also uses the corresponding data from the retrieved account statements. The app also supports GiroCodes for easy creation of transfers. 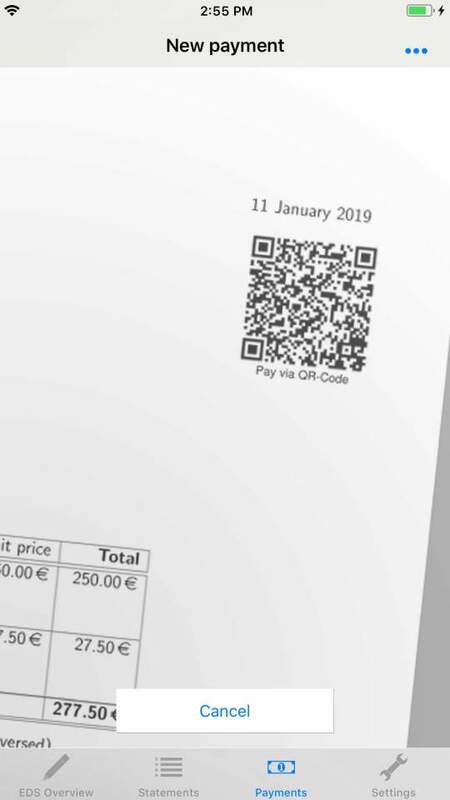 To do so, BL Banking for iOS scans the QR code and transfers the payment data directly to the entry form. Recording the recipient, IBAN, amount and intended purpose is thus carried out conveniently via the GiroCode. Together with the distributed electronic signature and the retrieval of account statements, the app can be used to carry out all standard banking transactions conveniently while on the move. The application has been tested by TÜV Rheinland and certified as a secure mobile application. BL Banking for iOS is available for download in the App Store. The app is free for users of the programs BL Banking and BL Banking DES.